Allan Louis on Designing Shoulder Pads for Adam Lambert and Romancing Beth Leavel in Baby It's You! Allan Louis talks about his Broadway debut performance as Luther Dixon, the suave, Mad Men-era lover of record producer Florence Greenberg (Beth Leavel) in the musical Baby It's You! The Broadway production of the new musical Baby It's You!, at the Broadhurst Theatre, will close following the Sunday, September 4 matinee. Ever wonder about the routine of a Broadway actor on one of those grueling two-performance days? Kyra Da Costa, currently appearing as Beverly in the new musical Baby It's You!, offers readers an exclusive look behind the scenes at a recent day at the theatre. With digital camera in hand, Da Costa snapped everything from wakeup to post-show autographs and everything in between. The cast of the Broadway musical Baby It's You! will perform at a fundraising event at Passaic High School in New Jersey on August 7. The benefit takes the show back to its roots: The daughter of future record producer Florence Greenberg (portrayed on Broadway by Beth Leavel) first saw the four singers her mother would mold into the Shirelles at a talent show in the Passaic High auditorium. At the recent gala reception for Harlem Week 2011 at Gracie Mansion, it was easy to detect a "New York State of Mind," the theme for this year's gift bag of events, including a performance from the cast of Baby It's You! 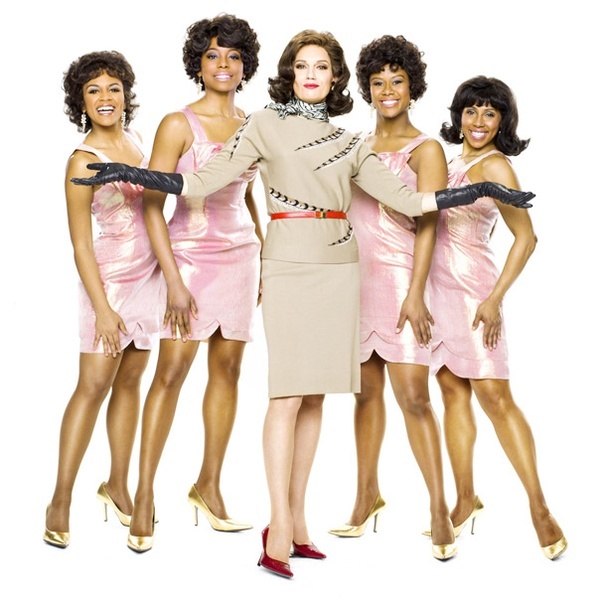 Shirley Alston Reeves, former member of The Shirelles, joins Broadway's Baby It's You! Early in her career, Shirley Alston Reeves got a piece of advice no singer wants to hear. The guidance was from legendary songwriter and producer Luther Dixon, responsible for dozens of pop classics. The advice: Don't go out there thinking you've got some fabulous voice. Reeves will perform after five performances of Baby, It's You! The Shirelles' Shirley Alston Reeves On Broadway Play Baby It's You! Shirley Alston Reeves stopped by the morning show to talk about her upcoming appearance in Baby It's You, a jukebox musical about pioneer girl group the Shirelles. What a night for the cast of Broadway's Baby It's You! The one and only Queen of Soul, Miss Aretha Franklin, arrived a couple of minutes late at the Broadhurst Theater and had to wait--with her guests--at the top of the aisle until the first scene was over. Then Aretha and her gang of 8 (including boyfriend Willie Wilkerson and singer Fonzie Thornton) quickly took their seats in the fourth row, center, and settled in to enjoy the proceedings. Baby It's You! Launches Broadway in Bryant Park! The best of Broadway is being presented FREE on six consecutive Thursdays this summer with "106.7 Lite fm Presents Broadway in Bryant Park 2011" - the annual lunchtime series that began on Thursday July 7th on the Bryant Park Stage. Baby It's You!, Broadway's golden oldies musical, will visit NASDAQ MarketSite in New York City's Times Square, and in honor of the occasion, the cast of Baby It's You! will ring the Opening Bell. A fantastic slice of pop music history is showcased on this cast recording of Broadway's newest jukebox tuner. Beth Leavel sounds particularly vibrant in the role of Florence Greenberg, a housewife from New Jersey who forged a career as a record industry VIP, dynamically offering up a reimagined version of "Mama Said." The best of Broadway will be presented FREE on six consecutive Thursdays this summer with "106.7 Lite fm Presents Broadway in Bryant Park 2011" - a lunchtime series beginning on Thursday July 7th on the Bryant Park Stage. The Girls of Baby It's You! Cover Katy Perry’s "Firework"
The new musical Baby It’s You! officially opened at The Broadhurst Theatre April 27. Here, the cast of the Broadway musical warms up to “Firework,” by Katy Perry, backstage at the Broadhurst prior to performance time. The original lead singer of The Shirelles, Shirley Alston Reeves, will join the cast of Baby It's You! — the Broadway musical about the woman who founded the '60s girl group — for post-show concerts for performances July 19-22. Photo Coverage: Original Shirelles Singer Shirley Alston Reeves Visits Baby It's You! The original lead singer of The Shirelles, Shirley Alston Reeves, attended Broadway's Baby It's You! yesterday, June 14, and made a special curtain call announcement that she will be giving special post-show concerts from Tuesday July 19th - Friday July 22nd. Baby It's You! Cast Album Released Today! BABY IT'S YOU! will be in stores everywhere today, June 14, 2011. Pre-order was available at Amazon. BABY IT'S YOU! began previews Saturday, March 26, at the Broadhurst Theatre (235 West 44th Street), and opens Wednesday, April 27, 2011, at 6:30pm. Inspired by the true story of Florence Greenberg, the woman who in the late 1950's took the male-dominated music industry by storm, BABY IT'S YOU! is conceived by Floyd Mutrux, directed by Floyd Mutrux and Sheldon Epps, and written by Tony nominated book writers Mutrux and Colin Escott, the team behind Broadway's MILLION DOLLAR QUARTET, with musical supervision and arrangements by Rahn Coleman, orchestrations by Don Sebesky and musical direction by Shelton Becton. Cast of Baby It's You to Perform in Bryant Park! The tentative lineup for Broadway in Bryant Park, running Thursdays July 7 - August 11, has been announced. Each week the series will showcase numbers from Broadway and Off-Broadway in concerts, offered free-of-charge at lunchtime. The four beautiful ladies who play The Shirelles in the new Broadway play Baby It's You! were here to perform the songs "Big John" and "Mama Said," and answer questions about the play. The original cast recording of Baby It's You! is now available for download on iTunes. The album will be released in stores by Universal Music Group's Verve label, on Tuesday, June 14. Baby It's You! is proud to kick off the summer by starting your weekend early with special Friday 2pm matinees. Beginning the week of June 12, the playing schedule for Baby It's You! will be Tuesdays at 7pm, Thursdays through Saturdays at 8pm, with matinees Wednesdays, Fridays and Saturdays at 2pm and Sundays at 3pm. Meet the "You" of Baby It's You! Florence Greenberg took a playground discovery and turned it into one of the music industry's greatest success stories — a tale told in Broadway's Baby It's You! Beth Leavel Nominated for Best Actress Tony Award®! Tony winners Matthew Broderick and Anika Noni Rose announced the nominations for the 65th Annual Tony Awards May 3 at The New York Public Library for the Performing Arts' Dorothy and Lewis B. Cullman Center at Lincoln Center. Beth Leavel received a Best Actress Tony Award nomination for her performance in Baby It's You! Florence Goldberg (the triple threat Beth Leavel), a forty-something Jewish housewife in the late nineteen-fifties, is trapped in domesticity in Passaic, New Jersey. She has an ear for hits, and when her daughter (Kelli Barrett) tells her about a girl group in her high school, she ignores her unsupportive husband (Barry Pearl), becomes its manager, and starts a record label. With the help of the songwriter Luther Dixon (Allan Louis), she creates the Shirelles, and in the process frees herself. This is a true story, and it's a particularly good one in the hands of Floyd Mutrux and Colin Escott. Baby It's You! is a bona-fide Broadway hit that's a lot of fun. The musical performances are fantastic, sometimes heartbreakingly beautiful, and the acting, under the direction of Mutrux and Sheldon Epps, is topnotch. Beth Leavel Nominated for Best Actress Drama Desk Award! Tony Award winners Audra McDonald and Liev Schreiber announced the nominations for the 56th Annual Drama Desk Awards this morning. Baby It's You 's Beth Leavel received a nomination for Best Actress! Baby It's You opened last night on Broadway. Check out the links below to see the red carpet arrivals and more! Baby It's You!, the story of a New Jersey housewife who launched the 1960s girl-group The Shirelles, opens on Broadway April 27 following previews from March 26 at the Broadhurst Theatre. Tony Award winner Beth Leavel plays Florence Greenberg. Beth Leavel Nominated for Best Actress Outer Critics Circle Award! Nominations for the 61st annual Outer Critics Circle Awards have been announced. Winners will be announced on May 16, with an awards ceremony to follow on May 26. Baby It's You! Announces New Performance Schedule! Inspired by the true story of Florence Greenberg, the woman who in the late 1950's took the male-dominated music industry by storm, Baby It's You! is a new Broadway musical conceived by Floyd Mutrux, directed by Floyd Mutrux and Sheldon Epps, and written by Tony nominated book writers Mutrux and Colin Escott, the team behind Broadway's Million Dollar Quartet. Click below to learn about the schedule announcements. Baby It's You!, the story of a New Jersey housewife who launched the 1960s girl-group The Shirelles, gets its first Broadway preview 8 PM March 26 at the Broadhurst Theatre. Tony Award winner Beth Leavel plays Florence Greenberg. Exclusive Rehearsal Photos of Beth Leavel and the Broadway Cast of Baby It's You! After attending a recent meet-and-greet for Baby It's You!, we wanted to get a closer look at this new musical, which begins previews on March 26 at the Broadhurst Theatre. Tony winner Beth Leavel stars as Florence Greenberg, a housewife-turned-record mogul responsible for launching the Shirelles, among other '60s pop acts. Get a Sneak Peek of Baby It's You! Tony winner Beth Leavel and the stars of Baby It's You! talk up this rockin' new show. In Baby It's You, Beth Leavel stars as Florence Greenberg, the woman who changed the recording world forever when she discovered The Shirelles and created Scepter Records, becoming the music industry's first female powerhouse. The cast performed for press at the Hard Rock Cafe in New York City and BroadwayWorld.com was of course there! STAGE TUBE: First Look At Baby It's You! Tony Award winner Beth Leavel discusses the upcoming Broadway production of Baby It's You! during a photo shoot for the new musical. She's So Fine! A First Look at Beth Leavel and the Cast of Baby It's You! If you like oldies like we like oldies, you are in for a good time at the new musical Baby It's You! The show charts the rise of New Jersey housewife-turned-superstar songwriter Florence Greenberg (played by Tony winner Beth Leavel) and spotlights the music of hit '60s girl group the Shirelles. With such tunes as "He's So Fine," "Dedicated to the One I Love" and "Twist and Shout," and fabulous stars, as seen in these pics by Andrew Eccles, you better get ready for fun, Baby! The box office at Broadway's Broadhurst Theatre opens Feb. 5 for ticket sales to the new musical Baby It's You! starring Beth Leavel ( The Drowsy Chaperone, Elf, Mamma Mia!) as record producer Florence Greenberg. The tale of the rise of The Shirelles begins performances at the Broadhurst (235 W. 44th Street) on March 26, opening April 27. Tony Award winner Beth Leavel will star in the new Broadway musical Baby It's You, to play the Broadhurst Theatre, with previews beginning March 26 in anticipation of an April 27 opening. The show is conceived by Floyd Mutrux, written by Mutrux and Colin Escott, and directed by Mutrux and Sheldon Epps.